The Reformation began 500 years ago this October when Martin Luther, an Augustinian monk with serious digestive issues, nailed (or less romantically pasted) ninety-five theses for disputation to the door of the Castle Chapel in Wittenberg. 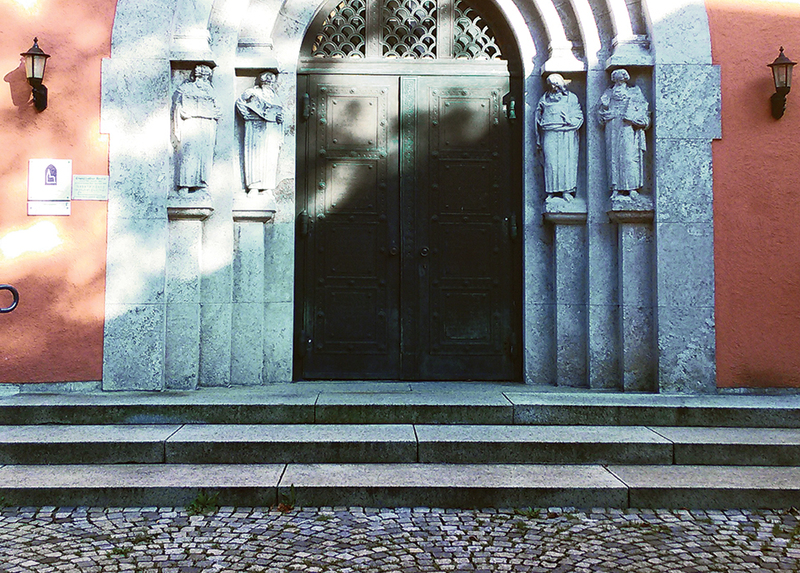 Luther and his colleagues set Europe buzzing with new ideas and new approaches to faith, theology, and the Bible. Luther bequeathed this combativeness to Protestantism. As I suggested in an earlier column, we Protestants are both lovers and fighters. We love God and we fight with everyone else. These fights are often, quite understandably, over what the Bible means and how it might be interpreted and applied in any given circumstance. Luther was sure that the Bible was perfectly clear. If we could understand the words and the grammar, the meaning would become apparent. For Luther this clear, unambiguous text would set aside the need for popes and councils. While some battles are worth fighting, not every issue threatens the survival of the faith or undermines the integrity of the church. Erasmus would accuse Luther of wanting to “impose on us the law that we believe whatever your interpretation is” and of wanting “to be the lord, not the steward of the Holy Scripture.” One might cite as evidence of this the fact that Luther, in spite of his commitment to the Bible, had serious reservations about certain books—most famously the letter of James and the Revelation of John. One of his heirs, Covenant leader Paul Peter Waldenström, seeking an unambiguous, apostolic authority from the New Testament, eliminated seven of the books from his canon! But the authority and truthfulness of the Bible does not mean there are no ambiguities and will be no differences of opinion. The history of Protestantism has demonstrated that clearly enough. And while some battles are worth fighting, as Roper put it, not every battle is a battle for Christ. Not every issue threatens the survival of the faith or undermines the integrity of the church. Christians on the right and on the left have selected biblical and theological hills upon which they are willing to die—or, more troubling, kill (if only metaphorically). In the end it is important to note how modest the creeds actually are. Both the Apostles’ and Nicene Creeds concern themselves with belief in God, his Son Jesus dead and resurrected, the coming of God to set the world right, the church, the forgiveness of sin, the resurrection of the body. These are the matters of orthodoxy, and even they have their ambiguities! At the end of his book Protestants, Alec Ryrie suggests that it is unlikely we will ever give up being fighters. But if we ever give up being lovers—lovers of God, lovers of each other—we are doomed. He is right. Thank you for this Jay and for your Pietist heart and teaching. I am forever grateful for the opportunity to sit under your pastoral heart and care.